NSRI Yzerfontein today rescued an injured turtle off the rocks at Rooipan se Klippe . The turtle had a cracked shell and an injured flipper and was handed over to the Sanccob volunteers. 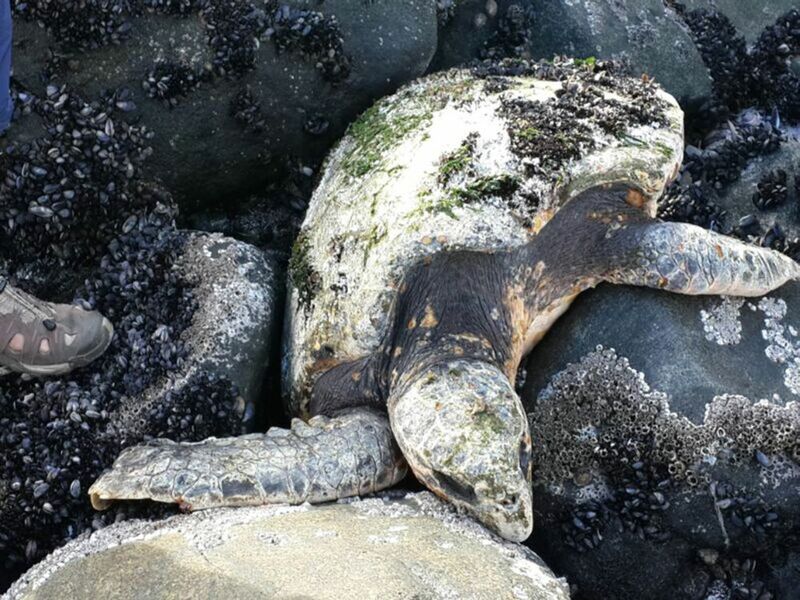 Rudi Rodgers, NSRI Yzerfontein station commander, said at 3.2- pm m 7 June, volunteer sea rescue duty crew were activated after reports from a member of the public of a large sea turtle found coming out of the ocean onto rocks at Rooipan se Klippe, Yzerfontein. “Our NSRI Yzerfontein volunteer sea rescue duty crew responded to investigate and e found the large injured sea turtle. Assisted by members of the public our sea rescue crew carried the sea turtle to our sea rescue vehicle. The the Department of Environment – Oceans and Coasts were alerted and arrangements were made for Sanccob to send a vehicle to collect the sea turtle. Tags : NSRI Yzerfontein today rescued am injured turle off the rocks at Roopan se klippe . The turtle had a cracked shell and an injured flipper and was handed over to the Sanccob volunteers.